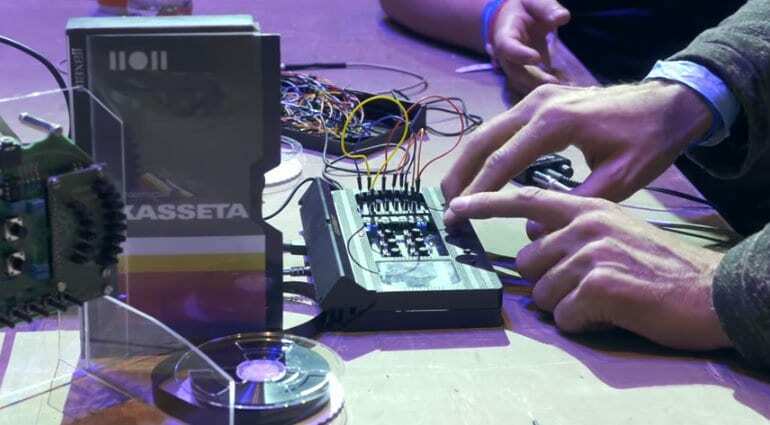 An unexpected use for old VHS cassettes emerged at Synthposium in Moscow last weekend. 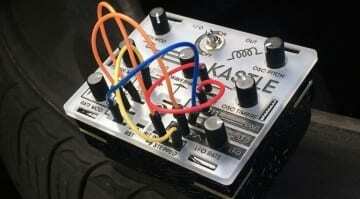 NonDestructive Design has been working with the Bastl Instruments Kastle and have modded it in some really interesting ways to create Kasetta. Obviously, it looks completely awesome. It’s sure to get itself noticed. 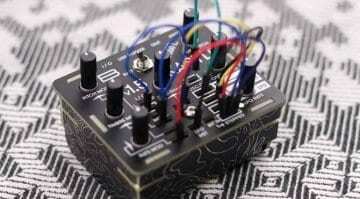 Kastle is an open source noise synthesizer and NonDestructive Design has taken this little box and pushed it in interesting directions. They’ve redesigned the PCB to fit better into the case including some surface mount components. There’s a power button, a rechargeable battery pack, volume control and a speaker. 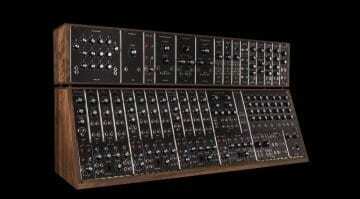 But the most noticeable addition is the keyboard, giving the semblance of melodic control over this crazy box of glitch. 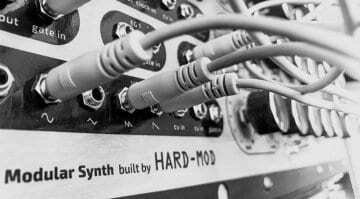 Check out the end of Cuckoos video below for some sound examples. It’s very much a project under construction and NonDestructive Design appears to have a bundle of ideas and the savvy to bring them into production. I’m loving the way the tape protector lifts up to reveal the input/output connections. Looking forward to seeing a lot more from them.